Rent a car manila chauffeur driven. 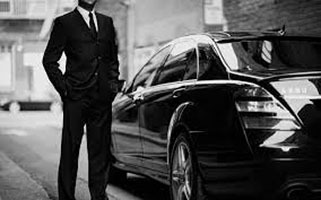 With rent a car manila chauffeur services you wont need to hail cab and booking the somewhat troublesome uber or grab that nowadays offer just the same services. Afraid of getting loss in the jungle of a maze streets in Metro Manila get our rent a car manila chaffeur. An hour early for that all important meeting but ending up late due to parking?Scheduling your day to avoid the busiest district during rush hour and did i forgot to mention that notorious traffic in mertro manila that may foriegn blogger and journalist alike calls gates to hell.Or simply just coding days. Our highly train chauffeur car rentals offers the best services always on time. Courteous drivers know the best routes with least traffic. Will wait for you until all your appointments done.the best part is you can take advantage of our rates and mileage it doesn’t have to be limited to manila and business to can take a quick trip to tagaytay and other tourist spots without adding a premium on rates.You did not to worry about the overtime pay for the vehicle for we have a 11pm cut off policy that provides you with the longest hour unlike other companies that will charge you by the hour after ten or maybe eight hours of service for the vehicle just the overtime of the driver that is a measly ninety pesos per hour rate after a ten hour duty.